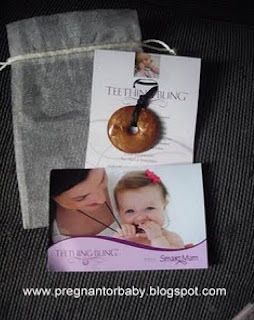 Teething Bling® is the original teething jewellery. Made from the same material as most teething toys, our teething pendants and teething bangles look great on the adult wearer but are safe for curious babies to handle and chew. The teething products are non-toxic, phthalate, BPA, PVC, latex and lead free and all pendants come with a breakaway clasp as an added safety measure. 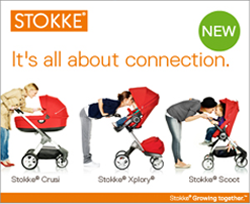 They carry the very important CE trademark which means they meet strict safety standards. Teething Bling went through four years of rigorous safety testing. All of their Safety Reports are available upon request too! Read on to see how I got on with my teething pendant and bracelet.. They child could play with the bangle as it is safe for them, as well as them being able to have a good chew.